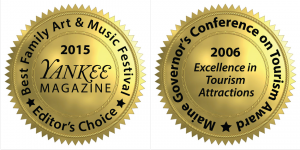 Welcome to Grand Lake Stream, Maine, and the Grand Lake Stream Folk Art Festival! A celebration of Grand Lake Stream’s natural beauty and unique cultural heritage, the festival brings together artists, artisans, and craftsmen to display and demonstrate their works, musicians to perform and entertain, and families and friends from near and far to enjoy all of this in a magical setting just off the beaten path. 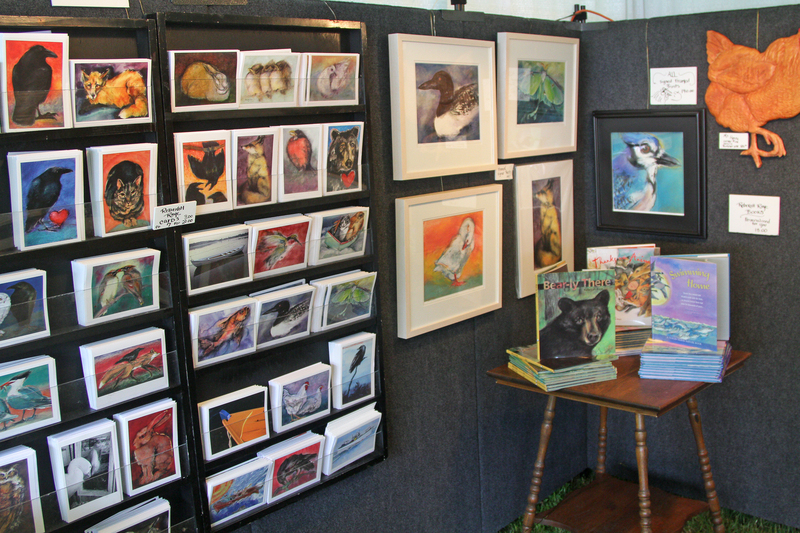 Welcome to Grand Lake Stream, Maine, and the 25th Annual Grand Lake Stream Folk Art Festival! The quaint village of Grand Lake Stream is nestled in the woods of Washington County, Maine, about ten miles off Route One, which runs along the Canadian border. Eastern Maine’s commercial center, the city of Bangor, is about a two hour drive away. The Grand Lake Stream Area has a long history of catering to those desiring outdoor activities including fishing, hunting, canoeing, hiking, birding, wildlife watching, photography, and the winter sports of cross-country skiing and snowmobiling. Although lumbering, the tanbark industry, and mills have historically played a major role in supporting the towns of Grand Lake Stream and nearby Princeton, the abundant wilderness and many pristine lakes and streams created the perfect setting for lodges, inns, and sporting camps dating back to the 1800s…and many still to be found today! The outdoor experiences in this unspoiled corner of Maine are incomparable and keep folks coming back year after year to escape from the stresses of their busy lives and enjoy the lost art of relaxation! 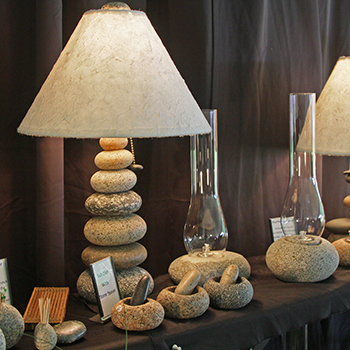 Browse the unique creations of more than 60 folk artists and craftsmen. Watch as many demonstrate their talents! Shop for traditional and contemporary folk art and handcrafts in a wide variety of mediums. Kids can enjoy arts and crafts instruction all day long! 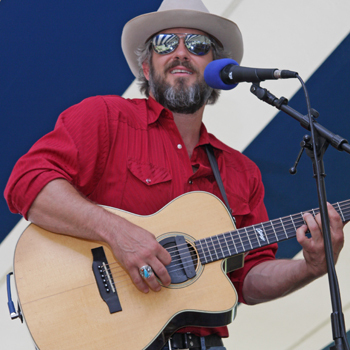 Enjoy live performances on stage all weekend by Maine’s premier American roots, Celtic, Bluegrass, Folk and Jazz musicians. Local favorites, The Grand Lake Stream Strummin’ Wildcats, will delight the crowd each day. You won’t want to miss it! 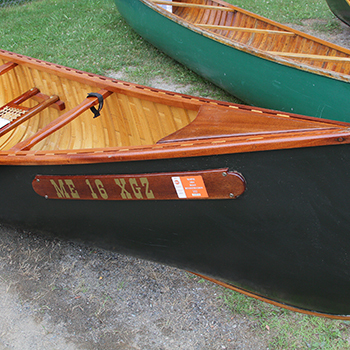 Immerse yourself in the culture and history of Grand Lake Stream, with canoe-building displays and historical photos in our Remembrance Tent. Browse the gorgeous displays of handmade quilts from the talented members of the St. Croix International Quilters Guild, including many antique and heirloom pieces. Satisfy your cravings in the food tent, with something for everyone’s tastes! 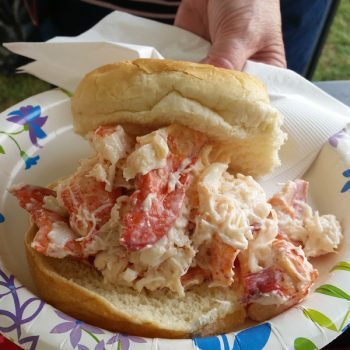 Local vendors will tempt you with downeast favorites like lobster rolls and smoked salmon; traditional burgers, hot dogs and fried chicken; wood-fired pizza; and summertime ”must-haves”, strawberry shortcake and ice cream sundaes! The Grand Lake Stream Folk Art Festival, spearheaded by local volunteers each year, has become an annual celebration of all that is Grand Lake Stream, Maine. Come enjoy the beauty of our small town by the stream, the character of her people, the talents of both local and visiting artists and artisans, soak up the culture, tap your toe and clap to the music, savor the local food, and inhale our fresh air. There’s something for young and old, for a few hours or the entire day or weekend. We will be going this year too. Loved it last year. It was our first time going - besutiful eeather! Brave! With any luck we will see you at the festivat this year! Can’t wait to come back this year. Happy anniversary! Here's to another 50! Have a wonderful day - Happy Anniversary from the Irving's! Happy Anniversary, Cathy and Bill! And many more. Happy Anniversary!!!! See you this summer! What a wonderful life! Happy day! Thanks for all the years of musical and art LOVE! I know right! Gonna be awesome! I thought you might like to see the Christmas PJs I gave the kids this year- Tshirts from the GLS festival and LLBean PJ Pants. It’s on my calendar too! Can't wait! WILL not miss two years. Merry Christmas, Cathy & Bill!